Cyanocobalamin injection is a sterile solution of Cyanocobalamin for intramuscular or subcutaneous use. Cyanocobalamin is the most common and widely produced of the chemical compounds that have vitamin activity as vitamin B12. Cyanocobalamin is a man-made form of vitamin B12. Cyanocobalamin is essential for growth, cell reproduction, blood formation (hematopoiesis), protein and tissue synthesis. Cyanocobalamin is indicated for Vitamin B12 deficiencies due to malabsorption which may be associated with: -pernicious anemia; folic acid deficiency; malignancy of pancreas or bowel; fish tapeworm infestation; gastrointestinal pathology, dysfunction, or surgery, including gluten enteropathy or sprue; small bowel bacterial overgrowth; total or partial gastrectomy. 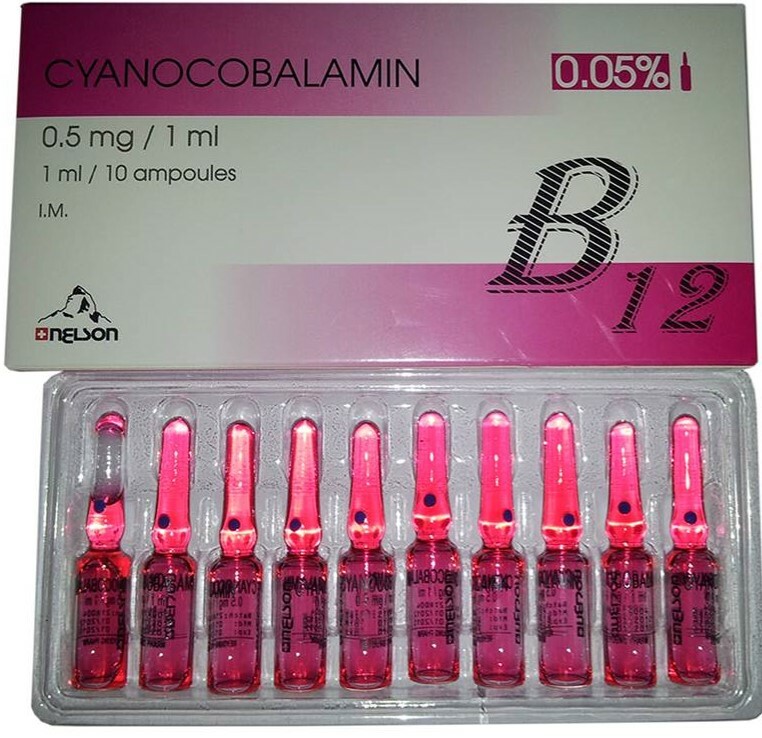 Cyanocobalamin injection is also suitable for the Vitamin B12 absorption test (Schilling test). Cyanocobalamin is quantitatively and rapidly absorbed from intramuscular and subcutaneous sites of injection; the plasma level of the compound reaches its peak within 1 hour after intramuscular injection. Absorbed Vitamin B12 is transported via specific B12 binding proteins to the various tissues and the liver is the main organ for Vitamin B12 storage.